Fair Cape Dairies is a forward-thinking business with an ethical commitment to business principles and new technology. Since the mid-1950’s, unprocessed milk was produced and supplied to manufacturers of dairy products in a dairy industry that was highly regulated in the form of government control boards that structurally controlled the supply and demand for dairy products, with little regard given to consumers of dairy products. This form of intervention led to an industry that was highly monopolised by a number of big role players on the dairy processing side with numerous dairy farmers, of which a large percentage were not competitive.The PE Loubser Boerdery was at that time a small-scale dairy farming operation and it was the visionary approach of Eduard Loubser, Senior – a fourth generation Loubser - that diversified the farming operation and turned it into a large scale commercial farming enterprise with a strong focus on dairy, wine and wheat production. After the first democratic elections in 1994, the system of highly regulated agro and agro-processing industries was replaced by a free market system. The free market system, in essence, takes the focus of an industry from a production-orientated to a market-orientated approach where the needs of consumers are paramount in the strategies and decisions of successful organisations. This change opened the door for Fair Cape Dairies to start adding value to the unprocessed milk produced on Welgegund by the PE Loubser Boerdery. This was the start of the next chapter in the development of the Loubser enterprise. Fair Cape Dairies is now a major producer of dairy products in the Western Cape and throughout South Africa, not only via the Fair Cape brand, but also through our association with other brands, such as Woolworths. Our commitment to superior quality, innovation, value for money and sustainable business practices will always be maintained as our best guarantee for future sustainability. Friesland cows were selected as the breed of choice, producing milk of outstanding quality under optimal conditions. Of these, 2,550 are milked daily, each of which delivers 40 litres per day. Ayrshire cows were later introduced to supplement the production capacity and to fill a niche in the market. Ayrshire cows produce excellent drinking milk, are disease-resistant and have a long lactation period. The new political dispensation in 1994 provided the opportunity that led to the establishment of Fair Cape Dairies in 1995. Fair Cape Dairies is managed as a professional business in which the five Loubser brothers, together with other experts in, inter alia, production, human resources, finance, logistics, marketing and sales, take the responsibility for managing and directing the organisation. 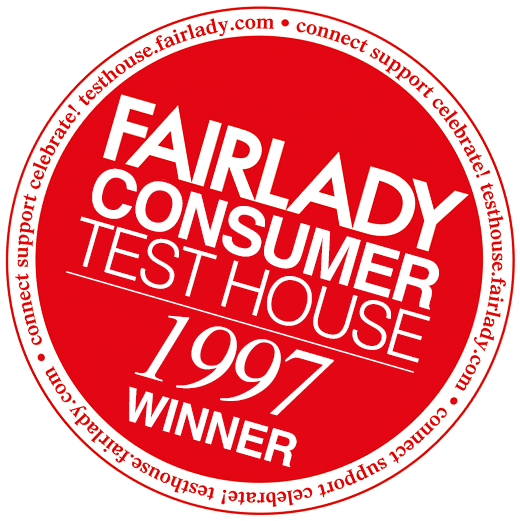 A big break came in 1997 when Fair Lady magazine voted Fair Cape Dairies as South Africa’s premier yoghurt producer and our low fat strawberry yoghurt was voted as the best on the market in terms of taste, texture, and appearance. This award was the first of many - nationally and internationally. Fair Cape Dairies and Woolworths formed a business relationship that grew into a strategic partnership which resulted in a dedicated facility, The Dairy Connection, being purposely built to supply Woolworths exclusively with their dairy range on a national basis. Currently, Fair Cape Dairies supplies 70% of Woolworths yoghurts nation-wide. To cope with increased demand, a new production facility which includes modern housing facilities to protect the herd against extreme weather conditions, was built on Welgegund. Thereafter, milk would be processed on Kuyperskraal, with some being sent to the Killarney Gardens factory for further value-added dairy products, such as yoghurts, desserts, custards, flavoured milk and other products. In 2005, Fair Cape Dairies introduced its first eco-friendly farming practices and launched the EcoFresh milk brand. We subsequently launched a school tour programme, had our carbon footprint assessed, and further diversified our product range with the inclusion of EcoFresh Long Life Milk, which is produced at our recently acquired long life milk processing facility in Malmesbury. Passion and ethics drive us to achieve the highest standards possible. The competitive advantage of Fair Cape Dairies stems largely from its operational excellence, technological innovations and continual research and development within the dairy industry.